ArtPublika is a project that aims to reinvigorate the public sphere with the arts. The goal is to foster art initiatives that allows more people to enjoy art, whilst simultaneously exploring more opportunities to fund the arts. 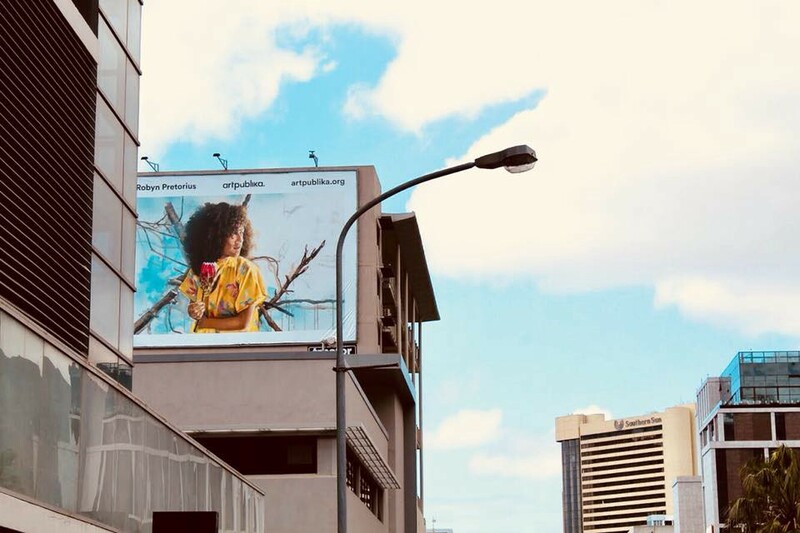 The first project was taking over a prominent billboard in Cape Town for 3 months (October to December 2018), and putting local art on it. Our first artist is Robyn Pretorius, a Cape Town local that grew up in Belhar. You can follow her on Facebook & Instagram. Check out her website as well. https://www.robynpretorius.art/. Robyn Pretorius grew up in Belhar with her mother who recognised her artistic abilities at a very young age. Robyn started as an illustrator at the age of 13 when she became the youngest cartoonist for the Sunday Times, S’camto Newspaper in 2001. The following year, she was guided into the fine arts industry by receiving the opportunity to showcase and sell her paintings at the Gilmore Art Gallery. Motivated by her passion for the arts over the years, she created private commissioned paintings and freelanced as an illustrator for various companies. Her ability to paint hyper realistic paintings has also been exposed to the international market. 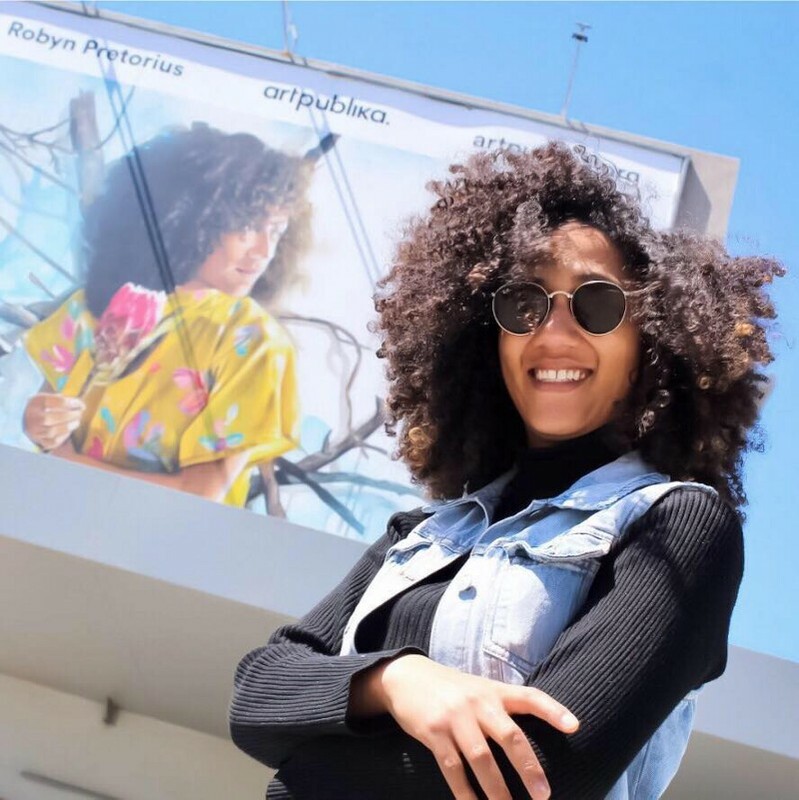 Today, Robyn has grown tremendously as a local emerging artist and uses her art to uplift, storytelling and convey a narrative which is greatly inspired by her community and personal experiences. Her most recent achievement was having a portrait art piece of Muhammad Ali on display at the FNB Joburg Art Fair,September 2017. The portrait was a commissioned by the South African Mint in celebration of the Kruger rand 50th anniversary. Currently, the project is self-funded. Besides finding novel ways to re-imagine public art, we also want to explore how we create more art, especially for consumption by the many. For the first billboard, we are going to release a blockchain component soon that tries to experiment with this. Quite excited to share it soon! Our mandate isn’t just about billboards however: this is simply a first move/pass. We are exploring many other avenues too. A year or two ago, I wondered if there’s anything interesting to be done with billboards. During that time, a friend, Oda Tungodden painted a large mural in Cape Town and I was inspired to utilise billboards as public art canvases. During that time I discovered that others, like Mailchimp, started doing the same! As time went on, getting good advice from Oda & others, in earnest we set out to start the first version of the project in January 2018. 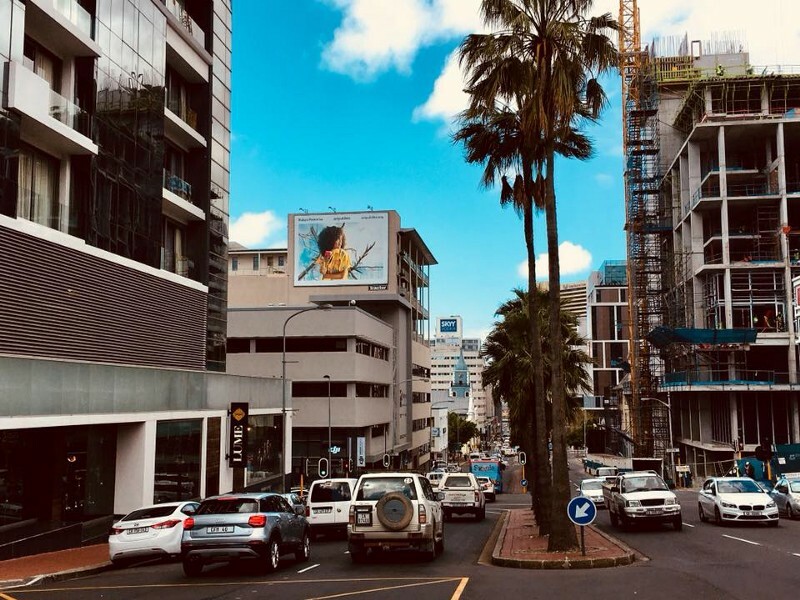 Working alongside the st-dio.co team, a design agency in Cape Town, we created the first parts of the project: the branding, and the website and got to task to finding billboards in the city. The goal was to find a billboard that’s in the city where others would walk past and be able to stop and look at it: not highways where you just drive past them. With various options, working with Tractor Outdoor, we found the Soho billboard in Strand Street. For our first artist, we were looking to support someone from Cape Town. As we looked at galleries, and the many amazing artists out there, we found Robyn Pretorius’ work whilst it was on display at the youngblood gallery. It fit exactly what we wanted! We’re happy that Robyn wanted to work with us. We commissioned an original art piece for the billboard. There’s so many amazing artists in South Africa. When we scoured for potential artists, we saw so many amazing pieces that could lighten up the city. At the moment, we want to a billboard run at least once a year in Cape Town. To those who have also already sent through new artwork for future billboards! Thank you. We are taking notice. ArtPublika is currently self-funded and the current goal is to do a run at least once a year. We are however looking at opportunities to scale the project. If you are interested in sponsoring it, interested in helping run it, interested in art, interested in new ways invigorate the public sphere with the arts, interested in helping curate (this is hard, as we want to give many artists opportunities), don’t hesitate to get in contact! This project would not have been possible if it weren’t for in the inspiration and advice from Oda Tungodden & the heavy lifting from the st-dio.co team. Thank you!